Last night when my husband came home and Charlotte and I were knee deep into scrubs, he was like…um…but then he tried my Soft Hands Sugar Scrub and was like…wow! Charlotte and I spent pretty much a good portion of the evening testing different scrub smells, textures and even adding some extract instead of smell oils. 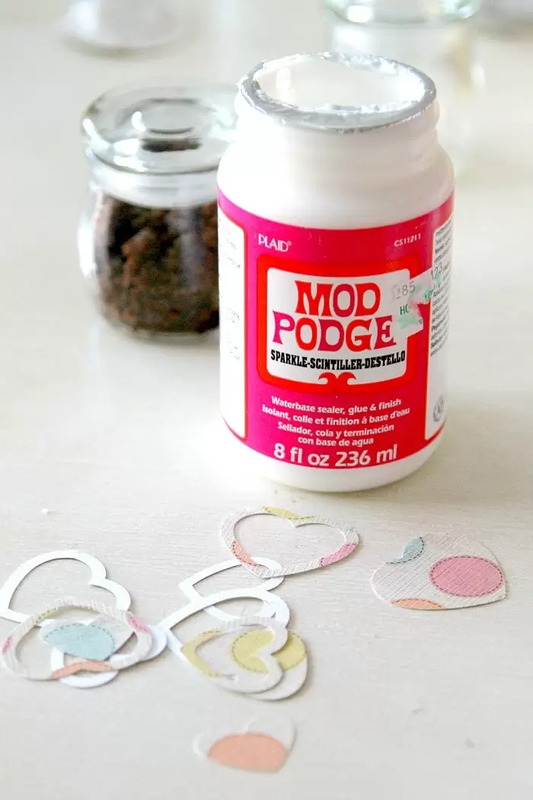 Basically we were doing what crafting is really intended for – having fun. 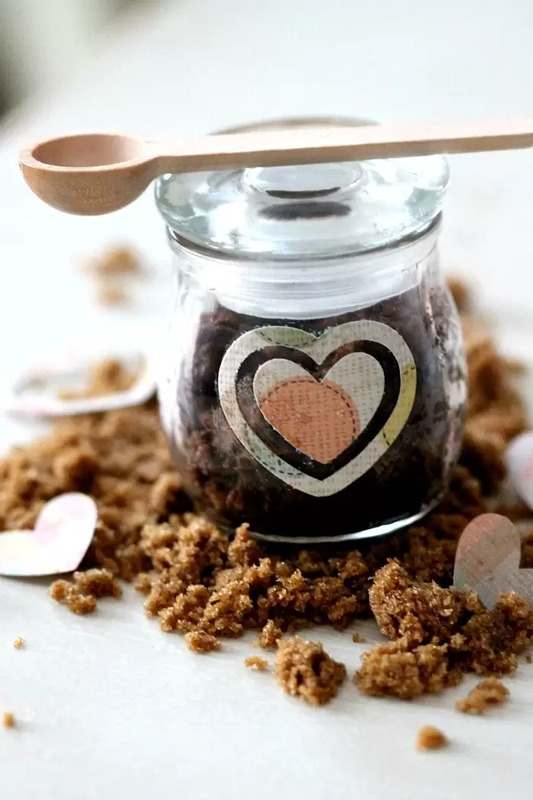 And when I discovered this cute baby little jar in the bag still, I knew we had to make lip scrub. Well, if you have ever endured the biting cold winds of winter or the drying out effects of the sun in the summer, lip scrub is just a sweet little way to dust off any excess dry skin and make your lips a little softer- naturally! 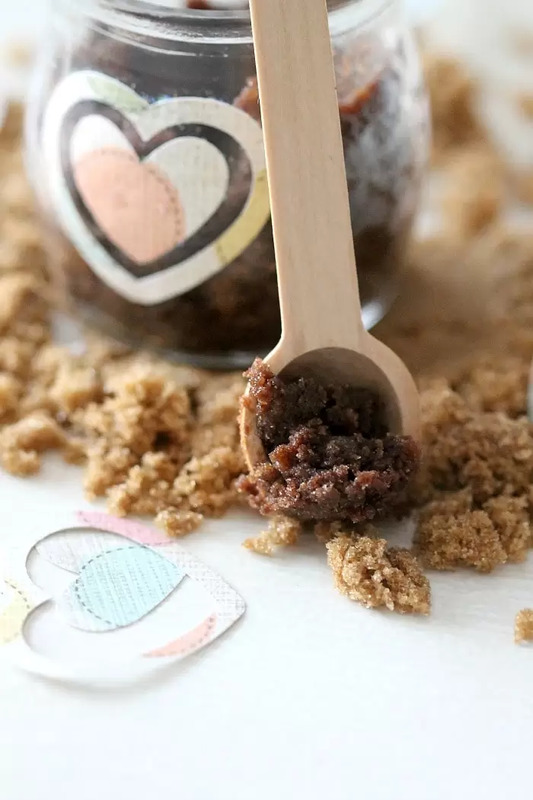 The reason I don’t just say use the other Sugar Scrub as a lip scrub is that its grapefruit and I prefer something a little softer next to my nose – like chocolate. Plus it fits the Valentines Season. 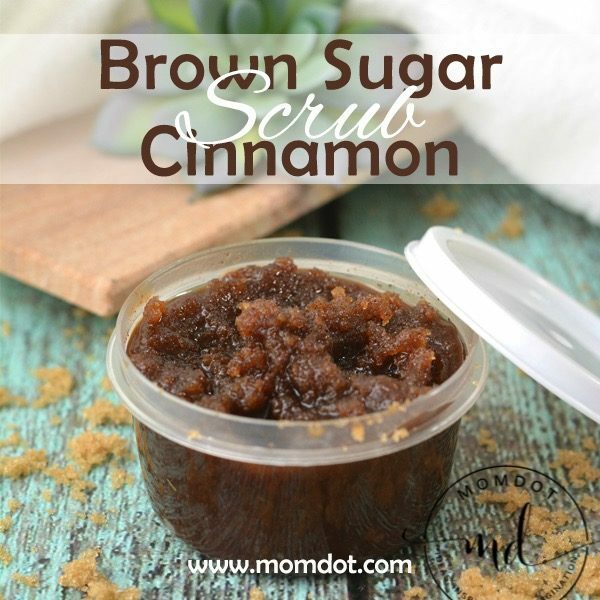 1) You may be here because you are looking for a very specific sugar scrub or lip scrub recipe, but I have to tell you that making this stuff is SO easy. It’s as simple as picking out your sugar (white or brown), deciding which oils you like and adding a scent. In this case, I wanted to keep it REALLY simple because nature has made so many amazingly tasty things that are good for your skin already. 2) All you do is mix together and put in your jar and seal up. Then when you want to use it just put a little on your fingers and scrub your lips. The scent of chocolate is so inviting and the vitamin E oil made my lips soft without being greasy. You may have noticed that I used an extract instead of an essential oil. You can surely use a vanilla essential oil if you want but I wanted to try something just a tad different (since it was going on my lips I went for a taste vs a therapeutic smell) and was pleased with the results with on hand kitchen products. And if any touches your tongue it’s tasty. 3) Now the fun part! Decorate your jar. I used a little heart punch and some modge podge to seal. So making this tonight with my 6 year old son. His lips get so chapped and dry. He will totally dig this. OMG I have to share this with Kiara because she loves making stuff like this, all of the time. No joke. So awesome! This tutorial is right on time. I need to whip up a batch of lip scrub. Thanks for the yummy recipe. Yummy =) I love sugar lip scrubs! Love this Trisha. I’ve never used scrubs before but I keep hearing about them. I think I’m going to have to test out this one this weekend. Its almost good enough to eat! Totally making! But I will have to use olive oil since I don’t have the other! Thanks for posting!